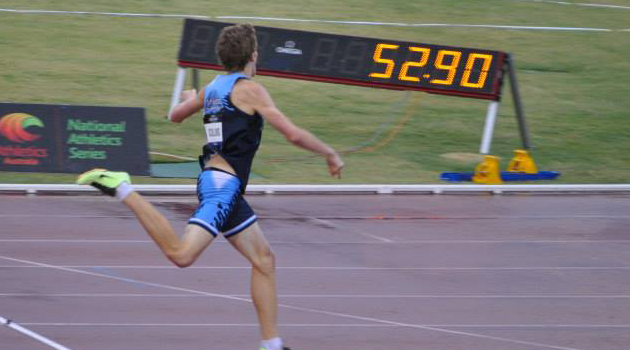 Bryce Collins is our 17th Athlete to speak to us about making the 2014 IAAF World Junior Championships Team. Members of the Spark Team will compete in Eugene (USA), from July 22nd to 27th 2014. I first got involved in athletics at age 11 at Northern Suburbs LAC. It was actually a suggestion from the family of Mackenzie little (2013 World Youth Champion in Javelin) who caused me to join this club. I am now competing in the seniors club at the same track (UTS Norths) and train with my coaches which I met through the Little Athletics club. I was very excited, since this is my first international trip with an Australian team, and I was extremely happy that all my hard work finally allowed me to achieve my goals. This is the first time I have to peak in July after finishing the season, so my off-season is a bit more cramped than usual, but my sessions have been good so far and I am being very careful to avoid injury. The experience. I am really excited for being able to spend 4 weeks in the team environment with plenty of amazing athletes in the Australian team, as well as meeting athletes from around the world in my races. I am also extremely excited and nervous for walking out onto the track for the first time with the crowd around me, in a completely new country and new atmosphere; I believe it will be an awesome experience for me. Many people inspire me through their achievements in our sport, but my biggest inspiration is Felix Sanchez, the Olympic Champion in 2012 in the 400m Hurdles. After being a dominant force in 400m hurdles from 2001-2004, he struggled for any form and barely made World Championships finals. Then at the Olympics, after a relatively unsuccessful year, he managed to pull together 2 incredible runs in the semi and the final to win in his best time since 2004. He inspires me to never give up on my quest for senior athletics achievements, since your best years may definitely not be past you, not matter how bad the outlook is. I believe that almost anybody can become a professional athlete, as long as they follow a few simple steps. Motivation is key to achieving your goals, and you have to find strategies to keep yourself motivated. I keep myself motivated by watching films of my races and other 400m hurdlers, as well as having an awesome training group. The little things are the most important in athletics. The little tweaks to your technique, the extra effort to complete a session, nutrition, recovery; it all adds up. It is important to focus on these little things, since they are all extremely important for your development into a professional athlete. I can’t begin to tell you how much of a difference it has made to my development by focusing on recovery and nutrition, so it is important to educate yourself on the basics of these little things.